Gujarat has been the spot for the various front line initiatives brought about through Japan International Cooperation Agency (JICA). 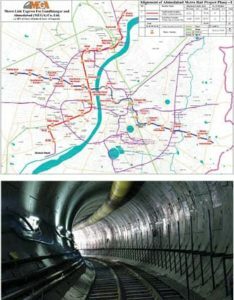 In Ahmedabad, we have been supporting the construction of the 1st Metro Rail System network of approx. 38 km from Motera Stadium to APMC (North-South Corridor) and Thaltej to Vastral Gaam (East-West Corridor). It covers the central business district area, academic area, residential area and institutional complex area of Ahmedabad Metropolitan Area. The project will contribute to regional economic development and improvement of the urban environment, through alleviation of traffic congestion and reduction of traffic pollution. The Western corridor of the Dedicated Freight Corridor (WDFC) will cope with the huge and rapid increase of freight transport demand in India, especially between Delhi and Mumbai, by constructing a new dedicated freight railway system. It will help to promote comprehensive regional economic development along the freight corridor, Delhi Mumbai Industrial Corridor (DMIC), through improvement and modernisation of inter-modal logistic system handling considerable freight traffic. Gujarat will be one of the principal beneficiaries, situated in a strategic point of this corridor. We have signed loan agreements for the Mumbai-Ahmedabad High Speed Rail (MAHSR) Project for Tranche 1 in September, and taking into account the dynamic features of this project, we have also signed Tranche 2 in October last year to further accelerate the implementation of the project. With the bullet train, the expected time for travel between Ahmedabad and Mumbai will be approximately 2 hours, connecting the heart of both cities. The bullet train will help boost the development of the cities along its route. Adding to the above, JICA has been supporting Japanese SME’s initiatives for creating intelligent information system. It will alleviate heavy traffic congestion by using advanced technology. We are currently working with a consortium of academic institutions and private firms of both countries to initiate intelligent multi-modal urban transport system in Ahmedabad. Working for Environment and Social Inclusion. In 1994, forest coverage in Gujarat was 6.4%, compared to the national average of 19.4%. It was evident that urgent interventions were required to stop further degradation of the forests, and JICA has been partnering with the State’s Forestry Department through two phases of projects. In the Phase two which started in 2007, 11 tribal districts located in the eastern belt and three non-tribal districts have been selected. Under the project, plantation was undertaken in 1,72,456 hectares (ha) including 1,13,210 ha through Joint Forest Management (JFM). 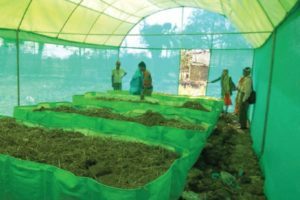 800 Social Forestry Development Committee (SFDC), over 1,600 Joint Forest Management Committee (JFMC), and 230 Eco Development Committee (EDC) were formed, and their implementing capability was strengthened under the project. The project also envisages wildlife conservation and development which includes protected area management in 7 protected areas, eco-tourism development in 3 sites, and eco-development in 7 protected areas and 4 biodiversity hotspots. 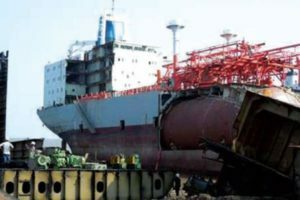 JICA has also been supporting the Upgradation of Environmental Management for Ship Recycling in Gujarat Project, through an ODA Loan signed in September 2017, which aims to promote more environment friendly, sound and safer ship recycling in Alang and Sosiya areas in Gujarat, by upgrading ship recycling related facilities and introducing preventive measures in accordance with international conventions such as Hong Kong International Convention for the Safe and Environmentally Sound Recycling of Ships (HKC), thereby contributing to environmental conservation and sustainable development of the industry in Gujarat. 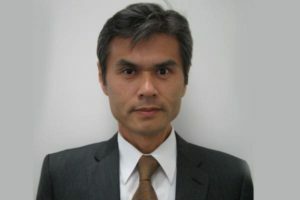 The writer is Katsuo Matsumoto, the Chief Representative, JICA India since June 2018. Previous to this, Mr Matsumoto was engaged in several flagship development projects in the South Asian region, being the Deputy Director General of South Asian Department at the JICA Headquarters, Tokyo. He has much experience of working for the large scale Official Development Assistance (ODA) loan projects in Mekong and the South Asian countries.